Feeling zesty? 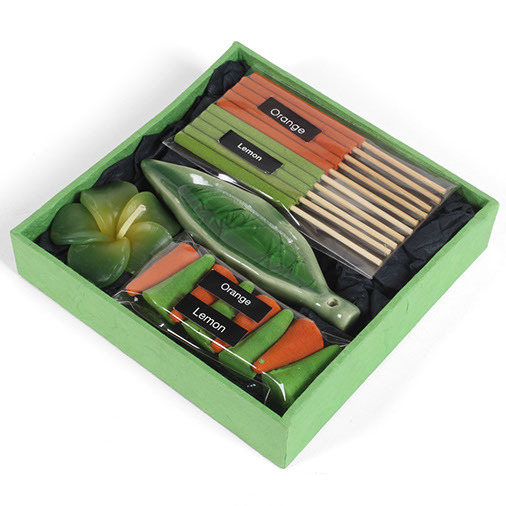 This fantastic citrus incense set makes an excellent gift or a starter incense kit. 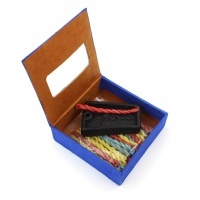 Inside the box there are both sticks and cones of orange and lemon fragances, a flower candle and a holder for both kinds of incense.